Khalifa Haftar, Libya¡¯s most powerful warlord, attacked Tripoli, which is controlled by the UN-backed government. 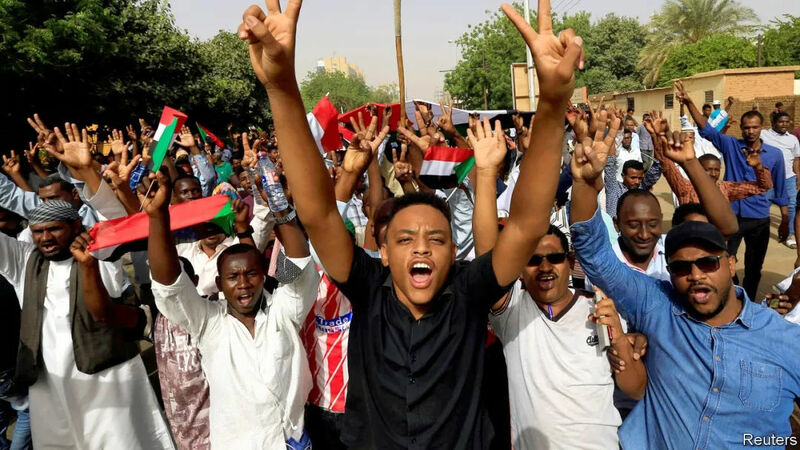 Dozens of people were killed in the fighting, as militias allied to the government rallied to defend the capital. A UN peace conference, scheduled for this month, was postponed. Theresa May, Britain¡¯s prime minister, attended a summit in Brussels to discuss another delay to Brexit. The European Union offered Britain six more months, pushing the deadline to October 31st, Halloween. That means Britain faces having to vote in elections to the European Parliament next month, though British MEPs will have to step down if Brexit actually happens. The president of the European Commission, Jean-Claude Juncker, joked that if there was another late-night meeting on the last day of the talks he might have to leave at midnight; his term ends on November 1st. Turkey¡¯s ruling party demanded a fresh vote in Istanbul, where it narrowly lost the mayoralty in elections on March 31st. Italy¡¯s deputy prime minister, Matteo Salvini, announced the formation of a new nationalist group within the European Parliament, to be called the European Alliance for People and Nations. However, none of the party leaders he hoped would attend from other countries turned up. The Trump administration cancelled a four-month-old agreement under which Cuban baseball players could join Major League teams in America without defecting from their country. The administration said the agreement would encourage human trafficking and help enrich Cuba¡¯s communist government. Jair Bolsonaro, Brazil¡¯s president, sacked the education minister, Ricardo V¨¦lez, who shared his socially conservative views. Mr V¨¦lez had courted controversy by instructing schools to film classes singing the national anthem and repeating Mr Bolsonaro¡¯s campaign slogan. His replacement, Abraham Weintraub, an economist, has said that crack cocaine was introduced to Brazil deliberately by the left. See here. Thanathorn Juangroongruangkit, the leader of the Future Forward party, was charged with sedition in relation to a protest against Thailand¡¯s military junta in 2015. It is one of several repressive steps that has marred the country¡¯s supposed return to democracy after an election last month. Kassym Jomart Tokayev, Kazakhstan¡¯s interim president following the sudden resignation of Nursultan Nazarbayev after three decades in power, called a snap election for June 9th. South Korea¡¯s constitutional court ruled that the government must end the country¡¯s ban on abortion, in place since 1953, before the end of 2020. Doctors can currently be imprisoned if they perform the procedure. However, tens of thousands of abortions are carried out each year. Voting began in India¡¯s seven-stage election. The final phase will take place on May 19th and the results for all seven stages will be announced on May 23rd. Polls suggest the ruling Bharatiya Janata Party will remain the biggest party. Kirstjen Nielsen resigned as the secretary of America¡¯s Department of Homeland Security. Donald Trump is trying to replace the department¡¯s top officials with people who will try harder to keep Mexicans out of the United States. Mr Trump has threatened to close the border entirely, despite advice that this would cause economic chaos. Amnesty International¡¯s annual report on the death penalty recorded a drop of nearly a third in known executions worldwide last year. There were 690 in 2018, down from 1,061 in 2015. The number of death sentences passed by courts also declined slightly, though in the Middle East and north Africa death sentences nearly doubled to 1,170. The region is responsible for two-thirds of the world¡¯s known executions.